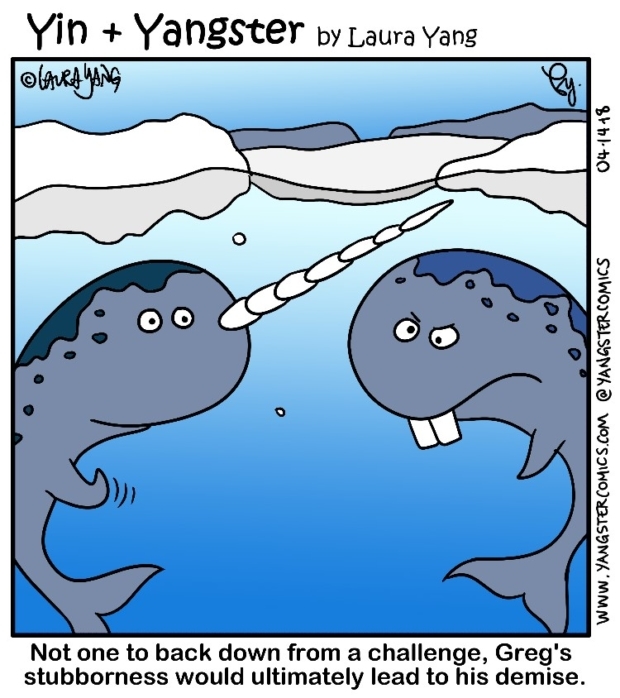 So somehow I wandered onto some articles and educational videos about narwhals. My, I have to say, what fascinating creatures! I learned that their tusk is really just a protruding canine tooth. Their swirly tusk is incredibly flexible and sensitive and is generally only found in males. They swim really slowly (apparently slower than manatees) and like to do so upside down. Anyway, the tooth thing got me thinking…. it seemed really funny in my head at the time! haha Maybe I’m just tired. 4.5h of sleep last night and a full day’s of work teaching math just saps the lifeblood outta me. I apologize in advance.